This picture ledge makes it easy to vary your favorite motifs as often as you like, the piece is available in various colors to match your home décor. 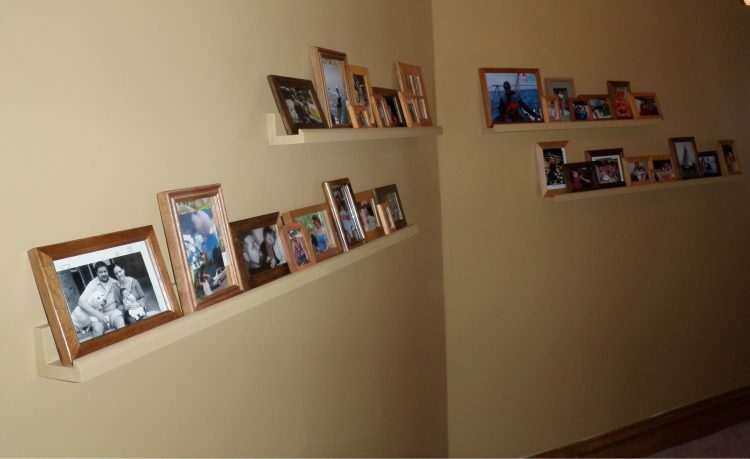 Ribba ledges can have lots of different functions, though displaying photos and decorations is the main one, just attach ledges to the wall where you want and put whatever you like on them. 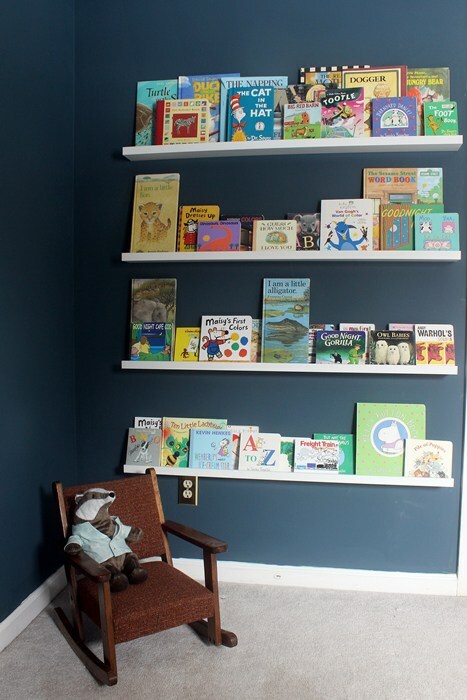 This idea perfectly works for kids spaces to store their books or toys. The same idea is applicable to space storing. 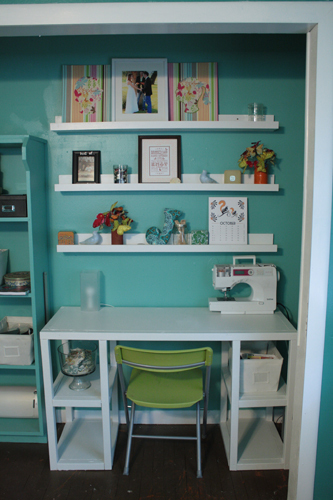 Cut your ledges as you want, attach them to the kitchen wall and choose the space containers that fit the ledges in size. Voila! 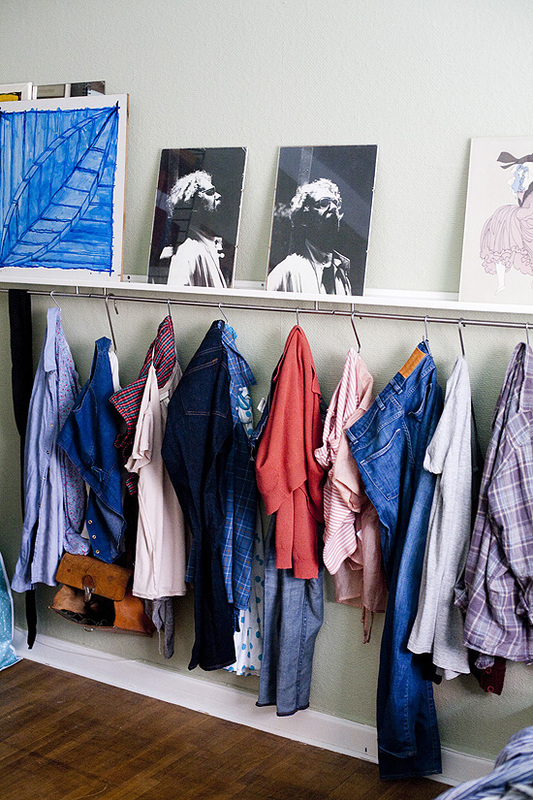 Using Ribba ledges in closets is a brilliant idea! 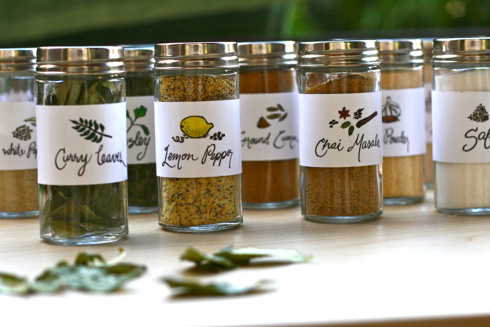 It will give all your small things a place. Cut 12 small squares of mounting tape to help you install the BYGEL rods to the front under side of the RIBBA picture ledges. 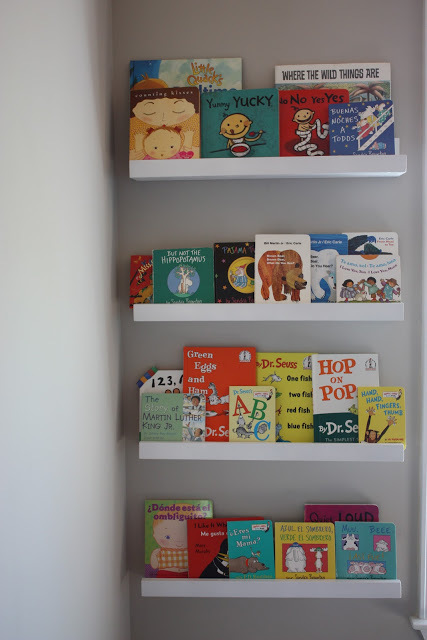 Center the rods on the shelf and stick them in place. Then drill pilot holes using a 3/32″ drill bit for the #8 x 1/2″ wood screws. 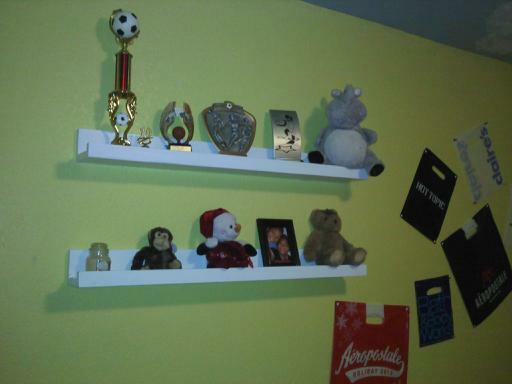 Mount all of the rods to the shelves. Open the clip rings and break off the clips, so you are left with just the rings. Using some pliers you can easily crimp the S-hook shut around the ring, so the rings don’t fall off when removing a scarf. 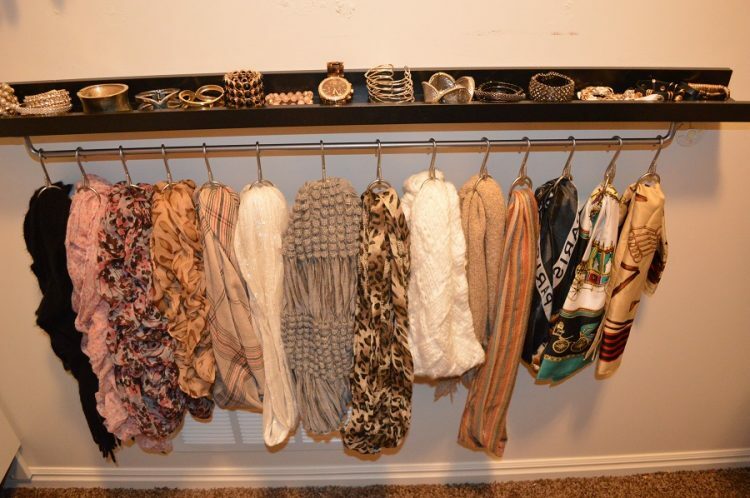 Mount the shelves to wall, then have fun hanging your scarfs through the rings. 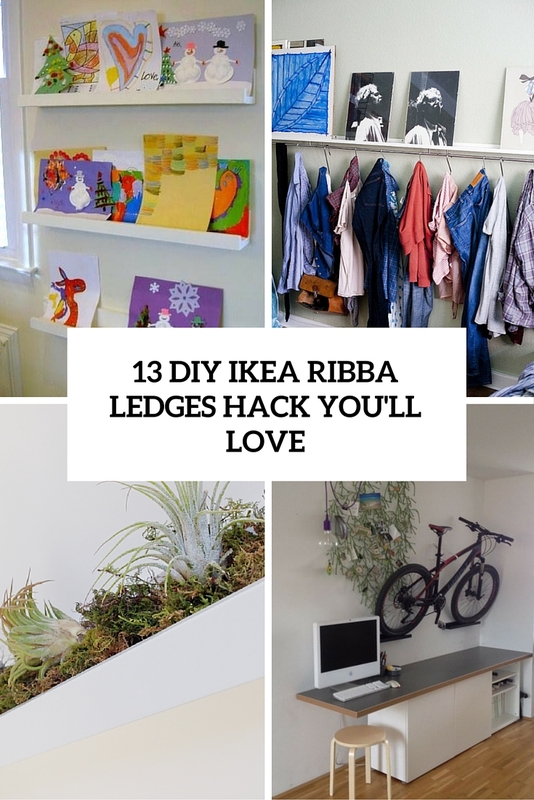 One more cool way to use IKEA Ribba ledges is to make a planter of them. It’s ridiculously easy to install. 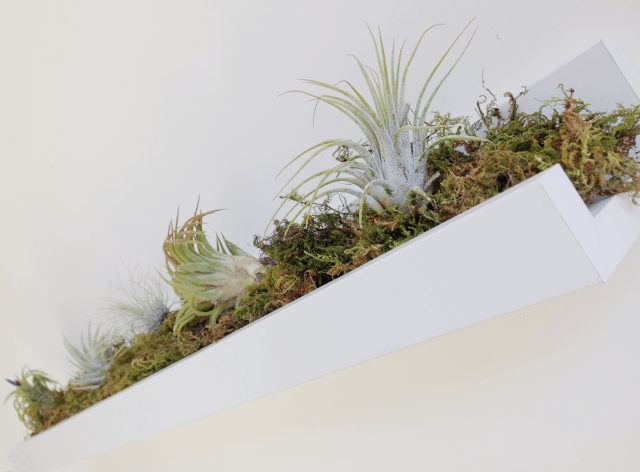 Just find your studs, drill 2 screws, add some moss, and arrange your air plants on top. 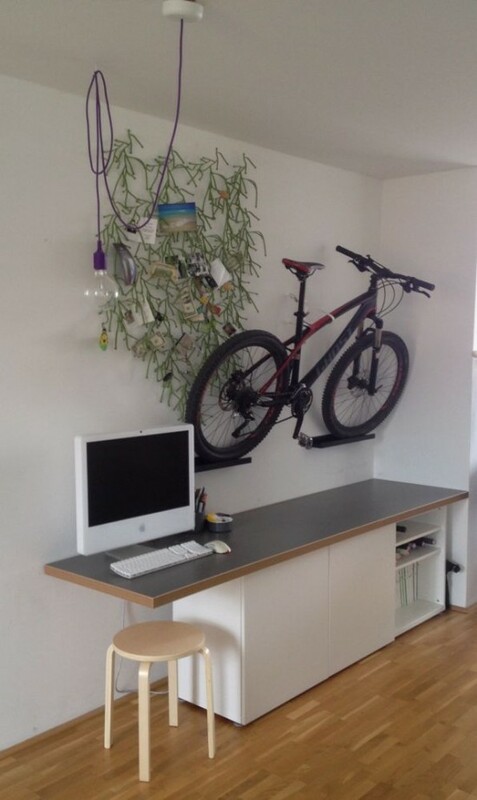 Got a bike and no place to store it? 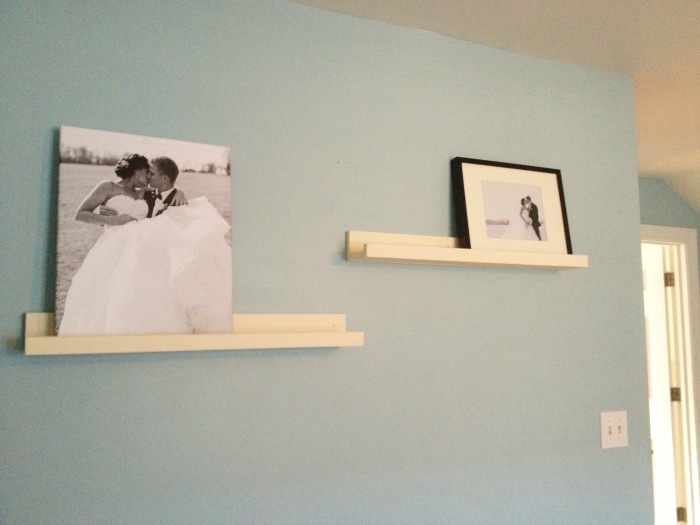 Put it on your wall using IKEA Ribba ledges! Mount two RIBBA picture ledges to the wall, to hold the bike simply use a nylon rope which has a carabiner at one end, so it’s easy to hook it to the eye. It works for every type of bike, the smaller the handlebar is, the less space you need. 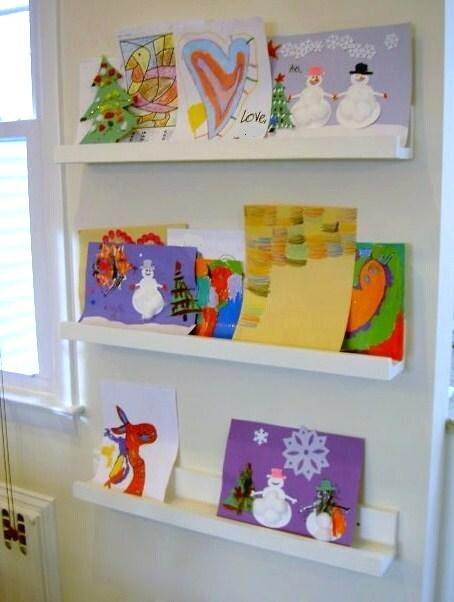 Christmas brings more reasons to use IKEA Ribba ledges! 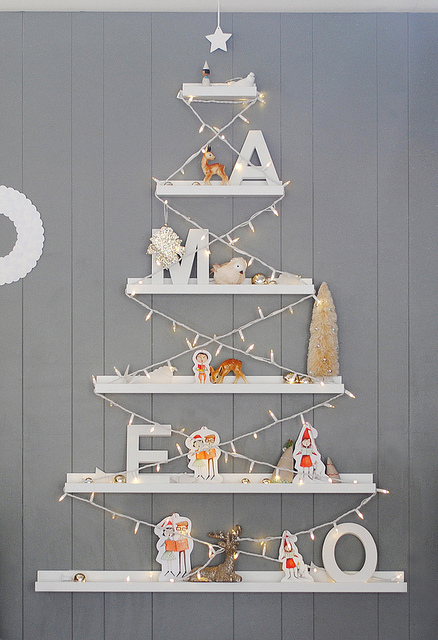 Make a super original wall-mounted Christmas tree of ledges, display all your decorations connected with this holiday and add a garland! After the holiday you can still use this tree shape for storing various things.